Attached foam handles. Bands Included: Yellow: 2-4 lbs., Blue: 4-6 lbs., Green: 10-12 lbs., Black: 15-20 lbs., Red: 25-30 lbs. 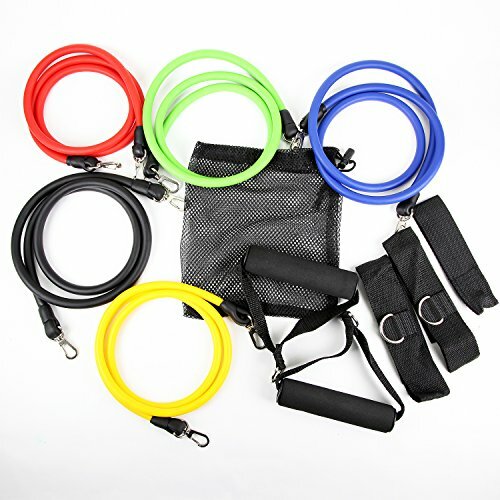 Resistance bands are one of the hottest products in health and fitness today. They are excellent for strength training, muscle toning and fat burning workouts. Resistance bands are an excellent alternative to free weights, workout machines and traditional body weight exercises.